Basic bank accounts are special types of bank accounts in the UK for people who can’t be able to get regular bank accounts. It is important to note that it is harder to get a regular bank account in the UK than in the US. This can be attributed to numerous restrictions in the UK's banking industry barring most people (especially those with poor credit scores/rating) from getting regular bank accounts. Basic bank accounts solve this problem. As the name suggests, basic bank accounts offer you basic banking i.e. a place to store your money and send money from. They were created for people who were either new to the country with no credit history or had accumulated a bad credit score as a result of bad debt. As such, these "bad credit bank accounts" do not offer overdraft facilities or in-credit interest. Most banks offer their basic bank account holders a debit card for making payments in regular and online stores. You can also be allowed to set up direct debits which is great because it makes paying bills cheaper. Contrary to popular belief, basic bank accounts aren’t 100% free of charges. Just because account holders don’t have access to credit doesn’t mean they won’t be charged some fees. The accounts usually attract occasional charges i.e. you will be charged for attempting to make payments when your account balance is insufficient. Most banks usually charge an unpaid transaction fee not exceeding £25 a time. It is therefore advisable to know exactly how much money is in your account before you attempt transacting. Basic bank accounts aren't publicised by banks simply because banks don’t stand to make a lot of money from basic accounts. Unless you make the mistake of using the card when you don’t have money, banks don’t stand to gain anything from your basic bank account. In fact, the accounts attract more cons simply because of the workload the accounts attract (administration costs) without bringing any notable returns. Unless you specifically request for a basic bank account, bank staff don’t offer the account as an option for individuals with bad credit. You may be wondering why banks bother offering basic bank accounts if they aren't good for business. Well, the answer is simple; bankers know that they can be forced easily by legislators to offer the accounts if they refused to offer them. Such a move would have serious consequences given the fact that bankers would have already lost the goodwill of the people and legislators. As mentioned above, basic bank accounts are for individuals who have poor credit history which is usually caused by bankruptcy, serious defaults or CCJs. The accounts are also available for individuals with no credit history i.e. basic bank accounts for those with no credit history. If you fit in the above description, you can open a basic bank account. Although there are a few unique exceptions, anyone can get a basic bank account. The accounts are specifically meant for people who can’t pass credit checks for standard bank accounts. To open a basic bank account, you need some form of identification as is the case when opening a regular bank account i.e. a national identification card to current passport. You need a current European Union (EU) member state ID, a current UK photo card driving license or full paper driving license, an ID card issued by Northern Ireland’s Electoral Office, a benefits book or benefits entitlement letters including child benefit, pension, disability, income support and job seekers allowance or a HMRC tax notification or an assessment letter. In case you have problems providing the above documents, you can use other ID forms. 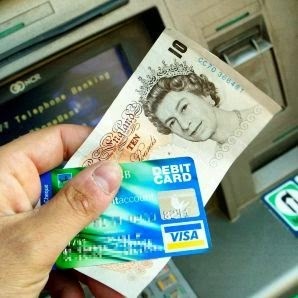 You can visit the Money Advice Service website to see the list of all the requirements you must meet to open a basic bank account with all the major banks in the UK. In case you are unable to provide any acceptable forms of identification, you can contact the respective bank and explain your situation to see if you have any other options. In a nutshell, you shouldn't have any problems applying for a basic bank account in the UK if you have the right ID documents and you don’t have any history of fraud.